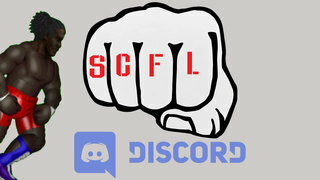 Last week’s shocking SCFL Fire Pro Wrestling show saw crepes, violence, and a snowy night full of horn music and cheer turn deadly. Now, Beliribon processes just what we saw, and how we all move forward. Mayor Bike Bianchi has ordered SCFL back to his father Sledding’s backyard where a Bianchi Family Mourning tournament will take place. The winner, gets a title shot. As is tradition, so will the referee. Meete Mein, Tapas Tiempo, Jacques Jean-Jacques, Kurt King, Giovanni Dinner, Ron Harris, Magomed Ashmovov Officer Bertrand, Gorvis Rodgers. Mike Miller passed away peacefully over the weekend, finally succumbing to his cirrosis. Betsy Harris will take up the SCFL Pro Open Scramble Championship pan in honor of her dead brother Ron Harris. 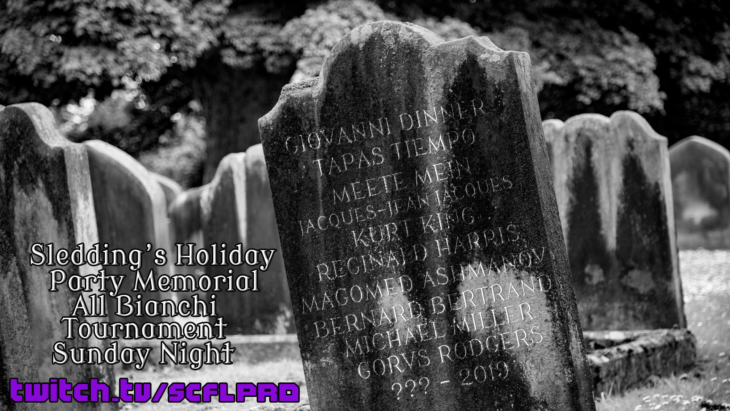 Then, a Bianchi Family Meete Mein, Tapas Tiempo, Jacques Jean-Jacques, Kurt King, Giovanni Dinner, Ron Harris, Magomed Ashmovov Officer Bertrand Gorvis Rodgers and possibly Mike Miller Bianchi Family Mourning Tournament. Mourning tournament will take place including Sledding Bianchi, The Great Lopkin, Boxing Bianchi, Bike Bianchi, Bike Bianchi, and more!